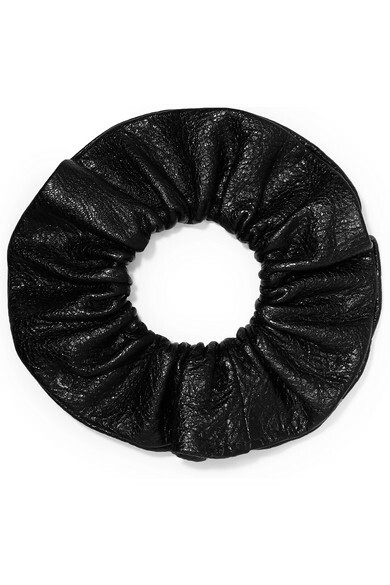 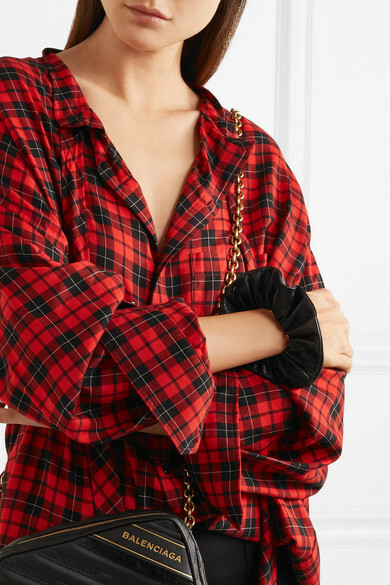 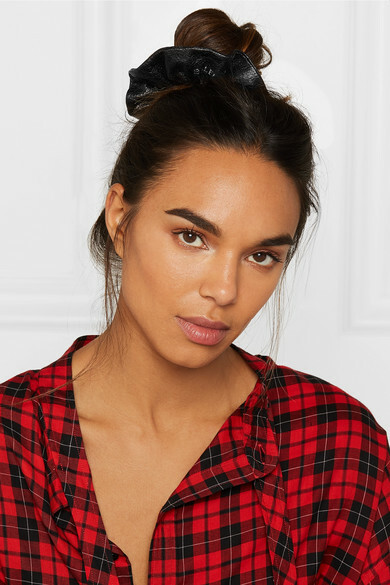 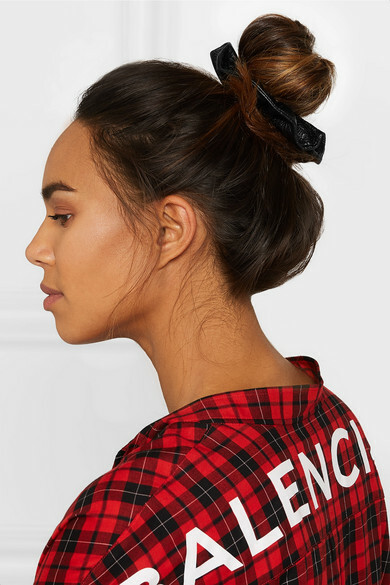 This 'Chouchou' bracelet is made from black textured-leather and elasticated to bunch around your wrist or topknot - Frederikke Sofie, Pandora Sykes and the team at Man Repeller are all championing the return of the scrunchie. 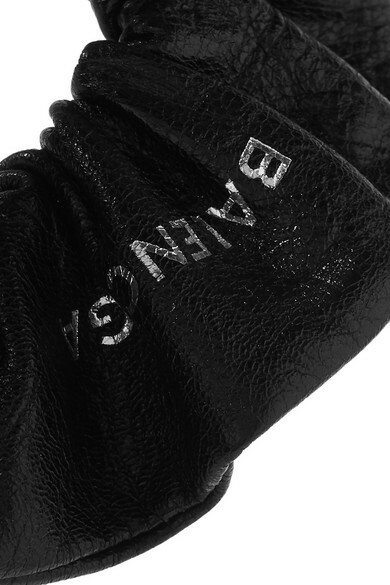 It's complete with Balenciaga lettering in silver, proving that nothing you wear this season should be without a logo. 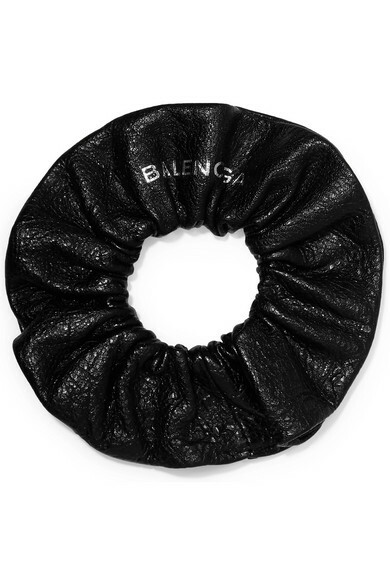 Shown here with: Balenciaga Shoulder bag, Balenciaga Shirt, Balenciaga Leggings, Balenciaga Pumps.